Gnejna Coastline: this particular grassy knoll might be too cliffhanging to walk though. Malta Inside Out has just received a copy of the new edition of the Cicerone ‘Walking in Malta‘ guide book, offering up 33 routes to explore across Malta, Gozo and Comino. The timing couldn’t have been better. Malta has had a glorious winter (til now that is, mid January) with weather ideal for getting out and about walking. We decided to test out some suggested walks. With our bicycles still in need of repair and traffic snarling up roads in Malta, we turned to two legs for once rather than wheels and set off from our village core into the surrounding countryside. We’re lucky enough to live in an urban area that takes around 10 minutes to exit. But even so, we came across a new route that skirted the main, and somewhat dangerous thoroughfare out, taking us down a secluded valley and up, giving us immediate open views. We’d never known of the track in our 15 years living here. This vignette serves to point out two aspects of walking in the Maltese Islands that may escape even locals and long-term expat residents: your immediate area holds surprises if you walk it, not drive it, and that applies to urban areas too; and that if a small patch of your vicinity can yield new views, then a longer half or day walk in another part of the islands is bound to come up with even more to discover. We’ve commented here about how our small islands offer up opportunities to escape the crowds and can, despite common myth, still present views without a building in sight. One hidden gem of woodland to walk is here. Malta’s great wall – the Victoria Lines – is rare vantage point to walk along. One coastal route that we’re still fond of is this (tourist-friendly) stretch from Qawra Point. Comino has more than meets the eye of passengers in passing ferries. This particular guide book makes walking life that bit easier by giving bus routes serving the start and finish of each walk (most are linear, not circular walks, but with some planning they are reachable and do-able), and pointing out in a helpful rubric the key things to see en route, whether heritage buildings or natural landscapes. Length and ease of walk, timings, where to eat and small contour maps are included too. Not to mention a lot of detail. It would be hard to take a wrong turn following author Paddy Dillon’s directions even if you’re not an ace map reader. Mellieha Bay to Xemxija – certainly a different view from that coast road! Comino – this one we’ve yet to do. But friend Leslie Vella did his version for us here and in summer heat. 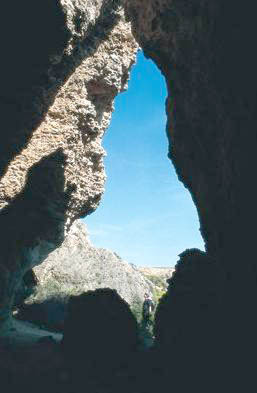 Cicerone Guide, ‘Walking in Malta’, 33 Routes in Malta, Gozo and Comino, author Paddy Dillon. Second edition: Nov. 2012. Price: £14.00 for the book and e-book respectively; discount of £7.00 if both purchased. See website for further details and book updates. Cicerone has kindly offered two complementary copies of the ‘Walking in Malta’ guide to Malta Inside Out users. For a chance to receive a copy, please leave a comment below. And if you’ve a favourite Maltese Islands’ walk already, why not offer up some insights on the route to help fellow walkers? Comments to be received by midnight on 26 January. We will let winners know directly by email and have your copy mailed to you from Cicerone. 20% Discount to Malta Inside Out users – to claim your discount on the cover price of the printed book, simply key in the voucher code ‘MALTA’ to the shopping basket page of the Cicerone website when you order. 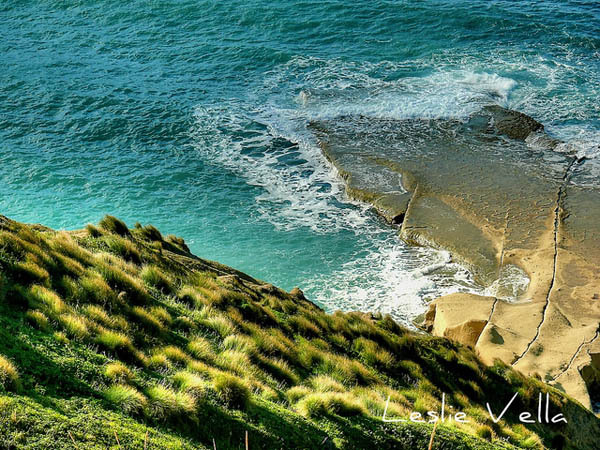 Header photo: courtesy of Leslie Vella, one of the most avid walkers of the Maltese Islands we know. Other photos:Cicerone ‘Walking in Malta, Gozo & Comino‘. Sorry you missed the freebie chance Ivor, but so glad you commented and went ahead with getting a copy. I agree, the book is a good companion and I hope you get here to make the most of those routes. April will be just perfect walking temps. My post on the 27th (above) was too late to be entered in the draw so I ordered a copy of the new edition. It’s arrived already and it’s great. We’ll be using it on our next visit which is in late April when the weather should be perfect for walking. Can’t wait! Our copy of the first edition has had a lot of use. It always surprises me how few people we meet when we’re walking in Malta. There are some really lovely routes. Amazing routes – some of these spots are not even known by the Maltese people. I work in a destination management company and is always on the lookout for such activities. This is what makes Malta unique and different than what the normal tourist portrays it like. Love walking in Malta in the winter (with two rambunctious dogs in tow). I particularly enjoy the Victoria Lines, and Walk 8 in Ghajn Tuffieha. Would love to try Siggiewi to Dingli! Thanks to all commenters so far for the tips and for chipping in. 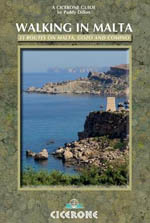 A week left to post a comment here for a chance to win one of two comp copies of the Cicerone guide to walking Malta. Now that I live abroad, I appreciate the Maltese countryside even more than I ever did living there (you always miss what you don’t have and whatnot). Would love to win a copy of this book to find more paths to explore. My favourite is probably the path from Zurrieq (where I am from) along the water to Hagar Qim and then returning more inland via Maqluba and Qrendi. You get a variety of coastal, inland and geological features to enjoy on your way! My girlfriend is from Malta so I get to go there a couple of times a year and love walking around and exploring. Usually I go for shorter walks or bike rides around her native Zurrieq but we have done Rabat to Bahrija walk and I really enjoyed that. I’ve actually been looking for a ressource for more route ideas, and this looks to be just it. 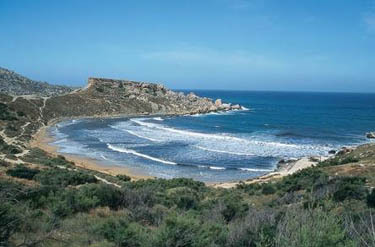 Walking/Hiking in Malta is one of the best activities for the winter and spring season. In fact there are so many hidden places and lovely routes to take. One can make 20k walk in a day and all the time staying away from villages and people. Just make sure you have plenty of water because even in winter can be hot enough! My husband and I and our pooch (10 month old Pharaoh Hound) love to walk and discover new routes on the island. One of our favourite routes is to take the Xemxija Heritage Trail, walk down through the Mizieb valley and then going back up, walking all the way through the woods of Il-Mizieb. The scent of wild thyme in the valley and pine in the woodland is just lovely! We’re curious to find out what other beautiful walking routes there are on these islands 🙂 We would love to receive a copy of the ‘Walking in Malta’ guide which will help us to discover new routes and perfect get away places. I’m always delighted to hear of new walking routes to follow, particularly in the heart-warming sunshine of winter when it’s warmer outside than inside! Guides which point out interesting sights along the way and offer a commentary on the countryside encourage families to go out and enjoy the health benefits and pleasure which a walk in the Maltese countryside can bring. Thank you and congratulations to Paddy Dillon.